Redmi sub-brand of Xiaomi has been on top of things for many years now in India. This is mostly because Xiaomi’s pricing strategy makes all Redmi phones a compelling buy. After enjoying a lot of success with the Redmi Note in 2014, the time for a sequel of the device seemed to be set next year. The Redmi Note 2 naturally had more powerful internals than its predecessor - it was powered by the Helio X10 chipset which is generally MediaTek’s high-end SoC. The screen size remained the same, however, the top and bottom bezels did shrink a bit to fit the big display in a smaller frame. It also had 2 GB of LPDDR3 RAM, which at that time was considered pretty fast. The cameras and other internal hardware for the phone - such as storage drives and external-SD card capacity remained the same. The rear camera used a 13 MP sensor, paired with a 5 MP front facing camera which took some pretty nice photos. Redmi Note 2 offered up to 120 hours on standby using its massive 3060 mAh battery. However, this is all three years ago and since then the company has grown quite a lot. It would be wise to sell your old Redmi Note 2 and invest in a new device - such as the stunning Note 5 perhaps? Or maybe you’d like to move to Moto G series, and pick up the G6? In any case, you should trade your second hand Redmi Note 2 for cash to upgrade to a better smartphone. Cashify can help with that. 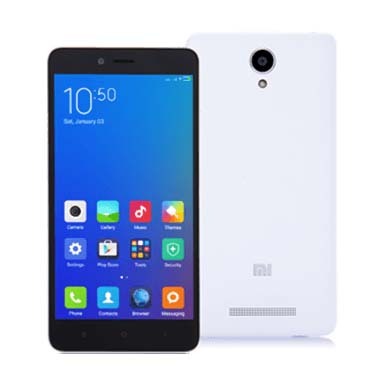 Why Sell Your Old Redmi Note 2 On Cashify? Cashify is engaged in exclusive exchange partnerships with Xiaomi, and with some of the most well-known smartphone brands in India such as Apple, Samsung and OnePlus. Selling on Cashify will not only fetch you the maximum money for your Note 2, but also make you eligible for exciting offers from Amazon and Flipkart. Cashify is the best way to sell your second hand Redmi Note 2 online. Selling on Cashify is a fairly easy job. Just head over to the Cashify’s website and select the mobile phone category. Answer a few questions about the smartphone such as the condition of the smartphone, warranty period etc. Cashify officials will come directly to your home to inspect the device and hand you cash onsite, so that there is no hassle from your side. 2. Search for the Redmi Note 2, and share the condition of your device.